I don’t buy too many Groupons these days, but when I do, they’re usually for trying new things, like mug painting! 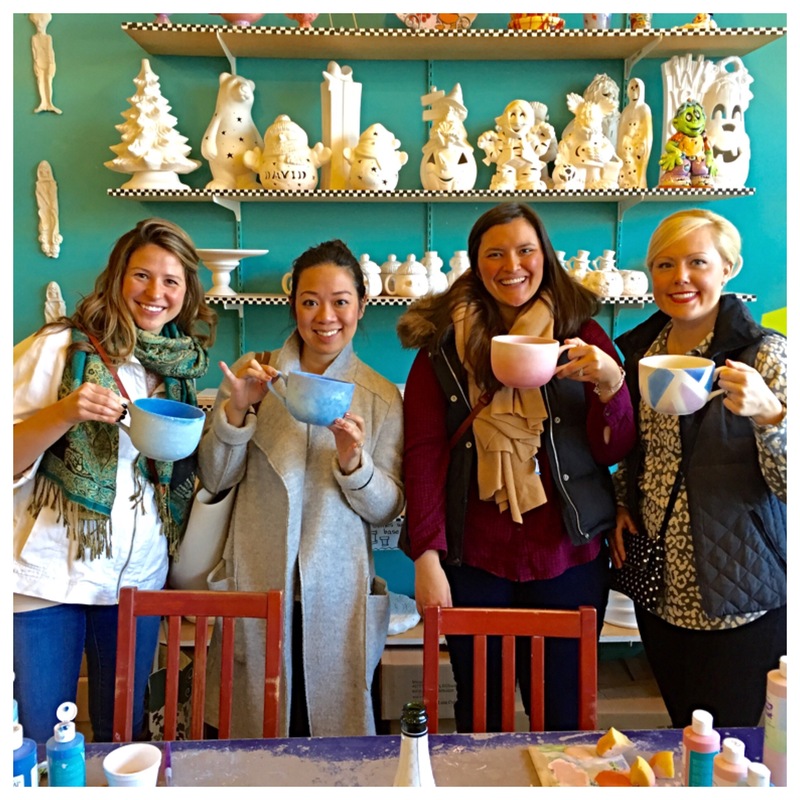 Katherine, Joanna, and Gina joined me for a little breakfast at Summerhouse Santa Monica, followed by mug painting and mimosas at Glazed Expressions (yes, it’s BYOB!). Now, you may ask, why mugs? Yes, I already have many in my cabinet. Yes, I could go out and buy one. But for the same price, I can design a mug myself with my friends. We made our appointment for a Saturday at 11 am, so we were the first in the shop to paint. Bobby greeted us, and led us to our table. She showed us which mugs were included in the Groupon price, and we all chose big, wide mugs. 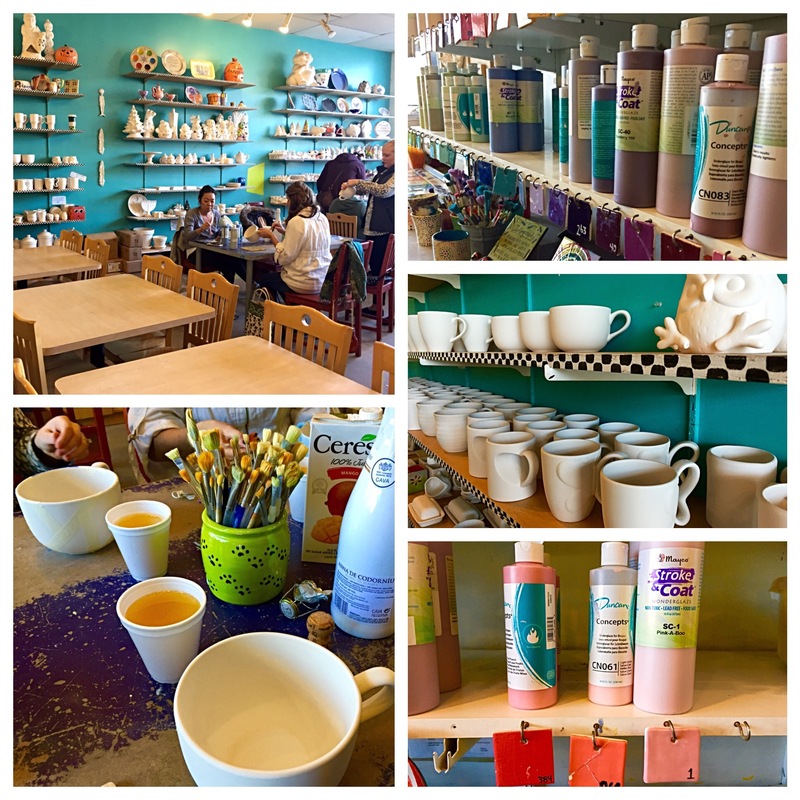 Once more people came, we all got a tutorial on how to paint the mugs, how to use different tools, etc. In looking at others’ mugs for inspiration, I really liked a mug that had an ombré effect. I committed to that style and chose three shades of pink. Bobby gave me directions on how to do the ombré: using a sponge, start with the lightest color and paint upward. Blend the next color to make a smooth transition, and then do again with a third color. I did three coats of this, and sponge painted the inside of the mug the darkest color. 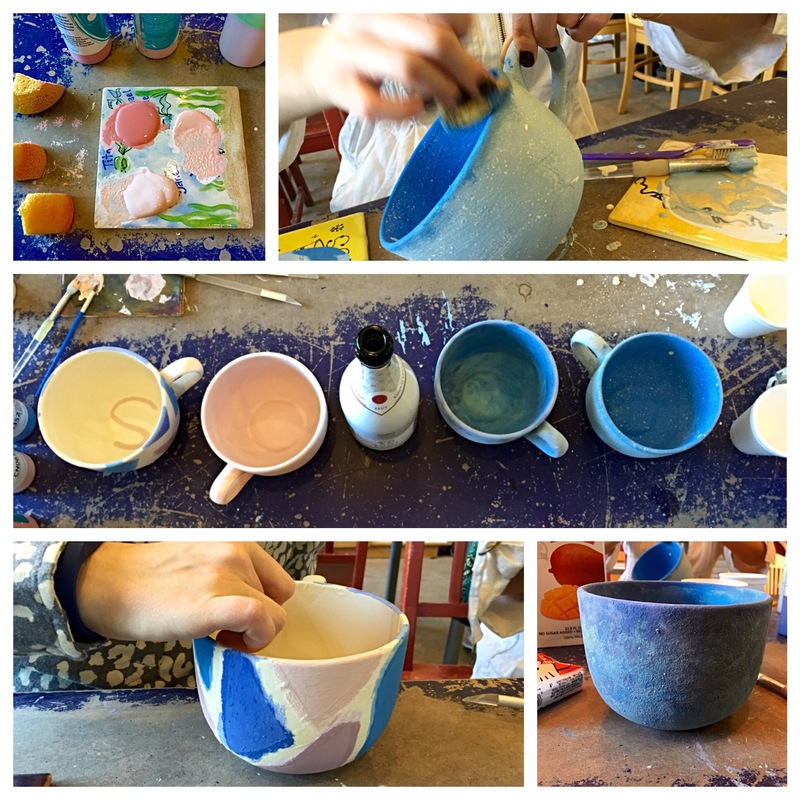 The paint is lighter and more matte before its fired, but I could tell already I loved it. 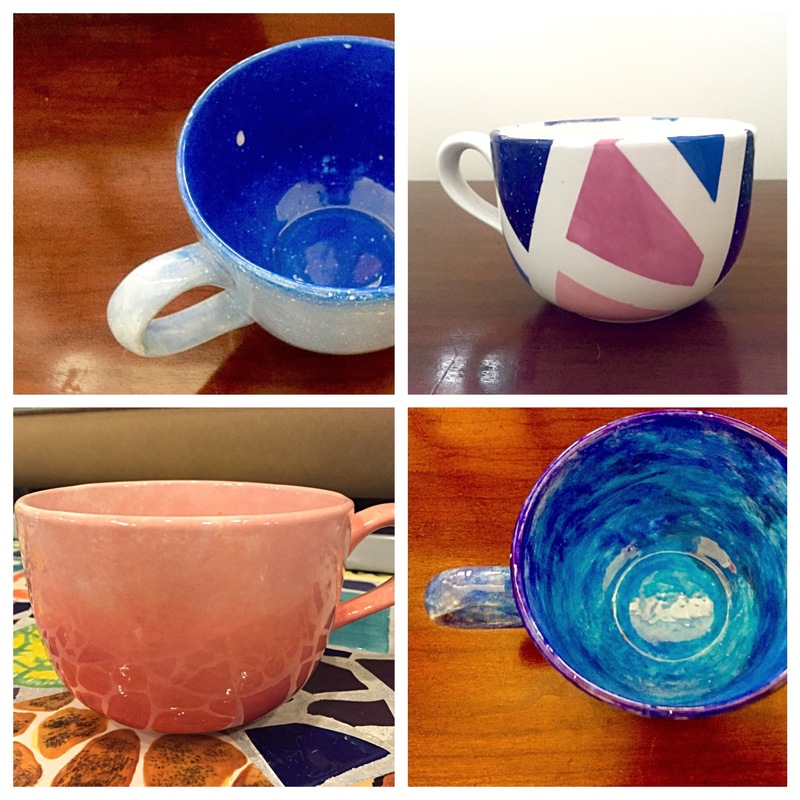 What I also loved is that we all took different techniques when painting our mugs, including using tape and toothbrushes to create different effects. When I picked the mugs up this week, I was so impressed with our work. I used my mug for my Sunday morning coffee (don’t you dare think you’ll get a pic of that, haha), and it wasn’t too heavy to hold and fit all of the coffee I needed. Anyone interested in coming next time? Next > Who Am I?